Lawrence Stroll speaks out about his new project at the reborn Force India squad after saving the F1 team from administration. Lawrence Stroll says taking the rebranded Racing Point Force India Formula 1 team to the next level will prove his “most exciting challenge yet”. The Canadian businessman led a consortium to rescue Force India from administration and save all 405 jobs within the team following the Hungarian Grand Prix weekend. Its participation at this weekend’s Belgian Grand Prix had been uncertain, but on Thursday the FIA confirmed it had accepted a mid-season entry from the team to run as a new entity under the Racing Point Force India banner. “On Monday I stood in front of the workforce at Silverstone and Brackley and applauded the achievements of this team in recent years,” Stroll said in a team statement. “The strength of any company is the people that make it up and it’s a huge privilege to begin this exciting new journey with such a talented group of men and women. “I’ve been fortunate to establish and grow a number of successful businesses, but the opportunity to take this team forward to the next level is perhaps the most exciting challenge yet. “Together with my fellow shareholders, we will invest in new resources and bring fresh energy to empower the workforce to continue racing at the very highest level,” he added. With the existing Force India team excluded from the championship, Racing Point Force India will start at the very bottom of the constructors’ standings on zero points, but drivers Sergio Perez and Esteban Ocon will retain the points they have scored from the opening 12 rounds of the season. Former Force India chief operating officer Otmar Szafnauer has been appointed team principal and CEO of the new team, while Bob Fernley will stand down from his role as deputy team principal. It remains unclear how the situation will impact on current Williams driver Lance Stroll, who has been linked with a switch to Racing Point Force India ever since his father bought the assets of the team. A mid-season move has been mooted, but Stroll stressed he is committed to Williams for the time being, at least. 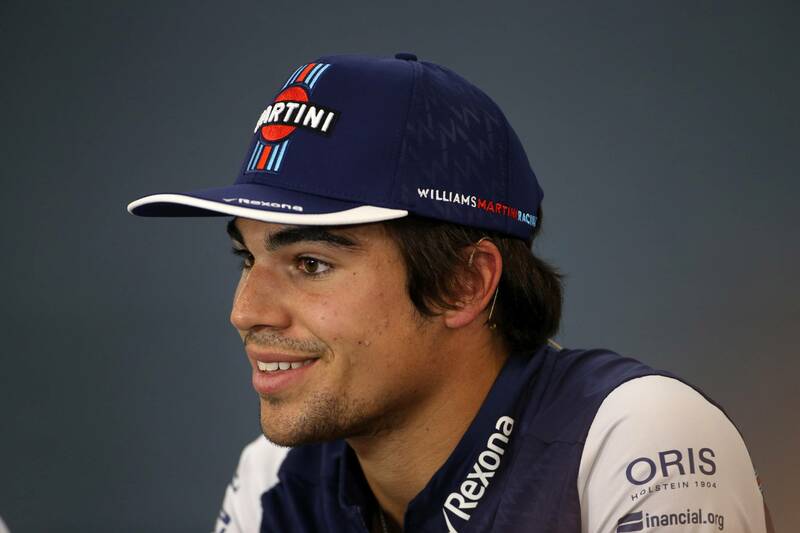 When asked if he would be finishing the season with Williams, Stroll replied: "Well, nothing's guaranteed. But I'm going to be just focused on this weekend and I'm going to give it my all like I always do and we'll see what the future holds. "Right now, I'm going to be just taking it weekend by weekend and we'll see what happens. I'm committed to Williams, I have a contract with Williams. “We've achieved some good success in the past, last year, so right now I'm going to try and beat them [Force India]. "For the moment, I am here at Williams," Stroll added. “I am not sure what I will be doing in the future. We'll see what my father decides to do. He's a nice guy, I'll hope he takes me." Stroll insisted he had not discussed the Force India takeover with his father. "He has done his due diligence and he sees that they currently punch above their weight. They do a really good job with what they have so he sees a lot of opportunity and a lot of potential," he said. "They are in a very difficult position and he believes he can help grow the company and make them as competitive as they can be. I wish him all the best with Force India, it is definitely a very exciting future for him. "But I am just focused on this weekend and what I am doing the rest of the year."